jamovi - Stats. Open. Now. jamovi is a new “3rd generation” statistical spreadsheet. 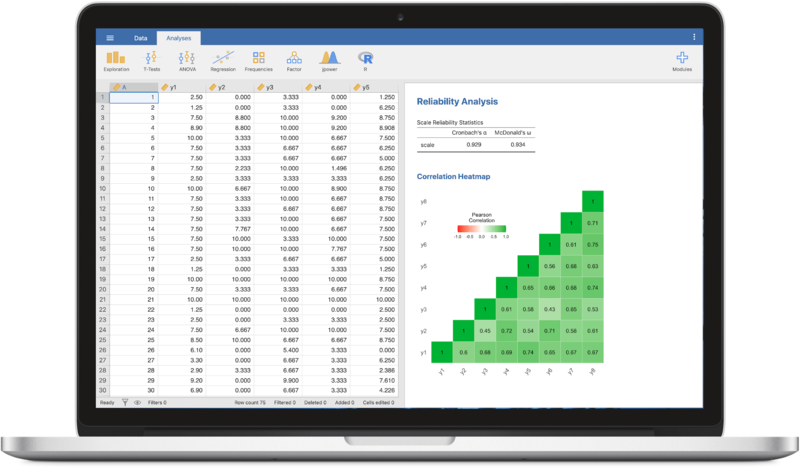 designed from the ground up to be easy to use, jamovi is a compelling alternative to costly statistical products such as SPSS and SAS.